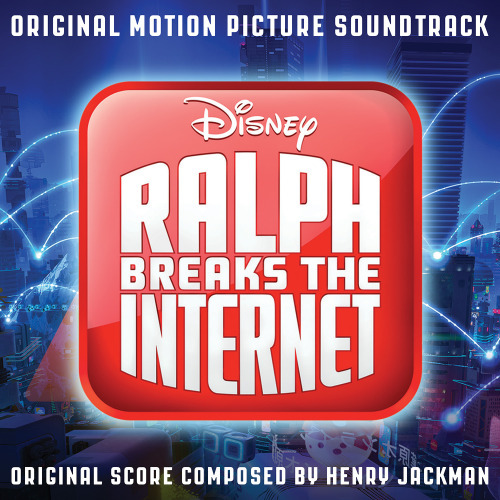 Walt Disney Records releases the soundtrack for the Walt Disney Animation Studios film “Ralph Breaks the Internet.” The soundtrack features original songs “A Place Called Slaughter Race” performed in the film by Sarah Silverman and Gal Gadot; “Zero,” written and performed by Imagine Dragons; score by composer Henry Jackman (“Wreck-It Ralph,” “Captain America: Civil War,” “Big Hero 6″), and “In This Place,” a pop version of “A Place Called Slaughter Race,” performed by Julia Michaels. Directed by Rich Moore and Phil Johnston, produced by Clark Spencer and featuring the voices of John C. Reilly, Sarah Silverman, Gal Gadot and Taraji P. Henson, “Ralph Breaks the Internet” hits U.S. theaters on Nov. 21. The soundtrack and film feature “A Place Called Slaughter Race,” featuring Sarah Silverman, voice of Vanellope von Schweetz. In the vein of classic “I want” songs in the Disney canon such as “Someday My Prince Will Come” and “Part of Your World,” the song showcases Vanellope’s desire to be part of the world outside Sugar Rush-to grow as a racer and as a person. The song also features the singing debut of Gal Gadot (“Wonder Woman”) as Shank. The music was composed by Oscar®-winning songwriter/composer Alan Menken (“The Little Mermaid,” “Beauty and the Beast,” “Pocahontas” and “Aladdin”) and the lyrics were written by Phil Johnston and GRAMMY®-winning producer Tom MacDougall (Frozen; Executive Vice President, Music at Disney). The multi-platinum, GRAMMY-winning band, Imagine Dragons, wrote and recorded the end-credit song “Zero” for the film, embracing the struggle Ralph has with his evolving friendship with Vanellope. According to Imagine Dragons’ lead singer Dan Reynolds, the film’s emotional themes are reflected in the song. “It’s a pretty timely movie in a lot of ways in that it addresses some of the issues of identity and loneliness unique to this internet generation,” says Reynolds. “Ralph’s internal struggle for self-acceptance really resonated with us, and this song speaks to that.” “Zero” is also featured on the band’s upcoming fourth studio album Origins available November 9. In “Ralph Breaks the Internet,” video-game bad guy Ralph (voice of John C. Reilly) and best friend Vanellope von Schweetz (voice of Sarah Silverman) leave the comforts of Litwak’s arcade in an attempt to save her game, Sugar Rush. Their quest takes them to the vast, uncharted world of the internet where they rely on the citizens of the internet-the Netizens-to help navigate their way. Lending a virtual hand are Yesss (voice of Taraji P. Henson), the head algorithm and the heart and soul of the trend-making site “BuzzzTube,” and Shank (voice of Gal Gadot), a tough-as-nails driver from a gritty online auto-racing game called Slaughter Race, a place Vanellope wholeheartedly embraces-so much so that Ralph worries he may lose the only friend he’s ever had. Directed by Rich Moore (“Zootopia,” “Wreck-It Ralph”) and Phil Johnston (co-writer “Wreck-It Ralph,” “Zootopia,” writer, “Cedar Rapids”), and produced by Clark Spencer (“Zootopia,” “Wreck-It Ralph,” “Bolt,” “Lilo & Stitch”), “Ralph Breaks the Internet” hits theaters on Nov. 21, 2018. 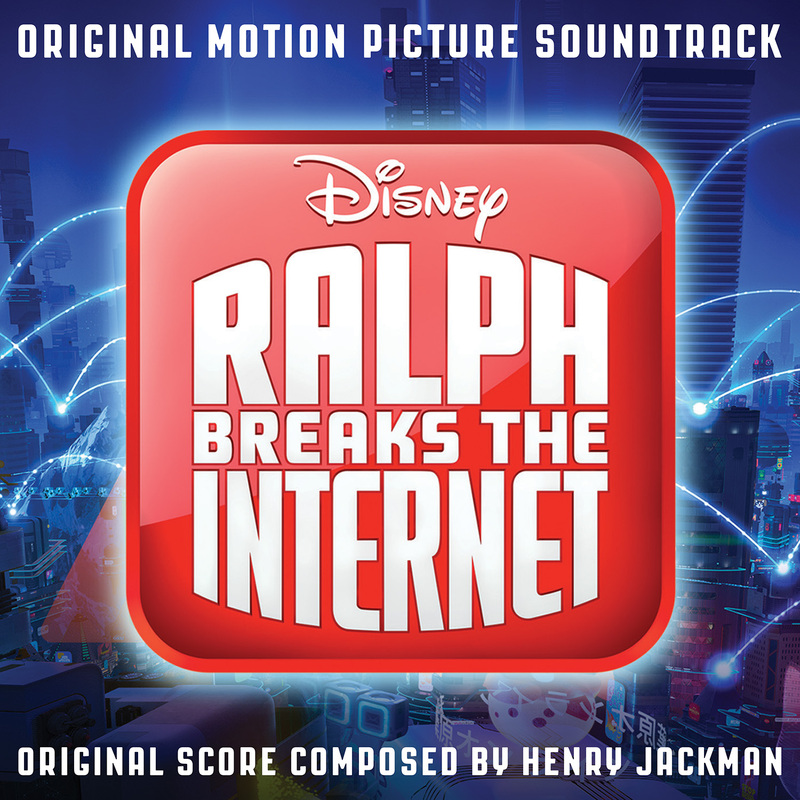 Ralph Breaks the Internet original motion picture soundtrack digital album is available now and the physical CD will be available on November 30. For more information on Walt Disney Records releases, follow us at Facebook/disneymusic.com, Twitter.com/disneymusic and Instagram.com/disneymusic.